Busy bags are perfect to take with you on the go. With the summer travel season kicking off this weekend I made a car themed busy bag perfect for preschool and kindergarten kids to make travel time fun! 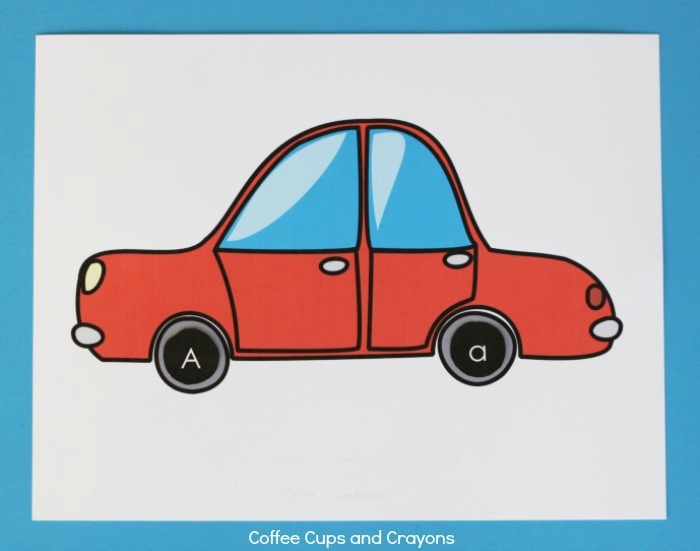 Kids can practice identifying uppercase and lowercase letters with this free printable car wheel letter match busy bag. 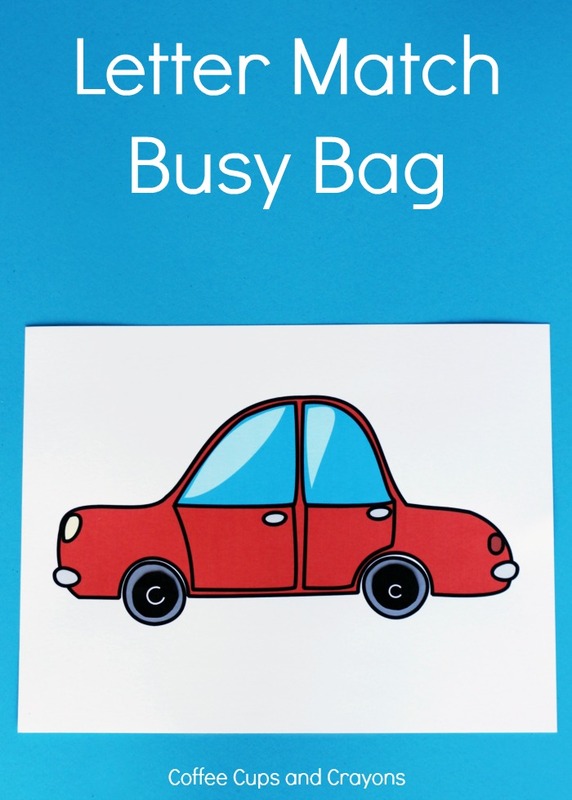 Download and print the free printable busy bag pages and cut all of the wheels out. Then kids can sort through the letter wheels to match the uppercase version of the letter with the lowercase version. To keep track of all the little pieces on the go you have a couple of options! You can staple the car sheet onto the inside of a file folder and put all of the wheels in a plastic bag. Then you can staple that to the file folder as well. We even punch holes in ours and store them in a binder. You can laminate the pieces and add magnets to the back of the wheels. Then kids can play with the busy bag on a small cookie sheet. You can laminate the pieces and put velcro dots on the backs of the wheels so they stick to the page. You can Even do this in the file folder and add a strip of the other side of the velcro on the other half of the folder so they can stick there when not being used. Or you can just put them all in a bag or a box and hope for the best! There is really no wrong or right way to make a busy bag. 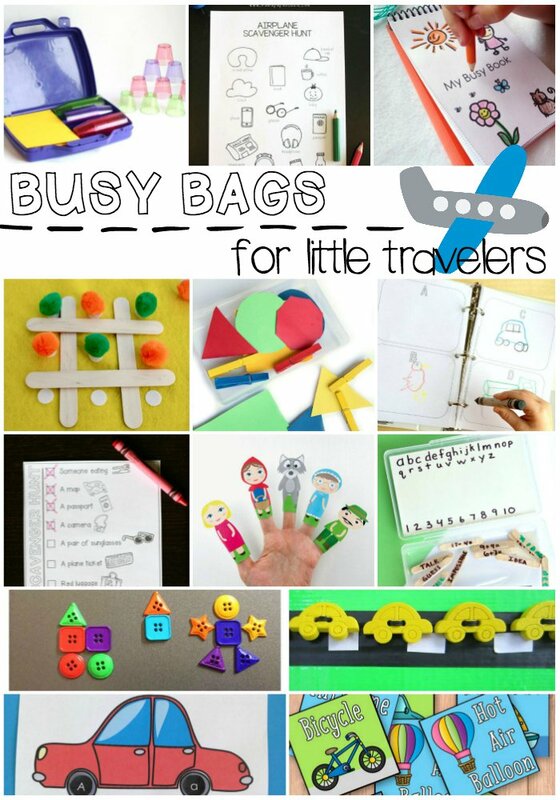 Want more busy bags ideas that are perfect for little travelers? Here you go!